Over the past 10 years Melissa has rescued, cared for and adopted out more than 3,000 dogs. 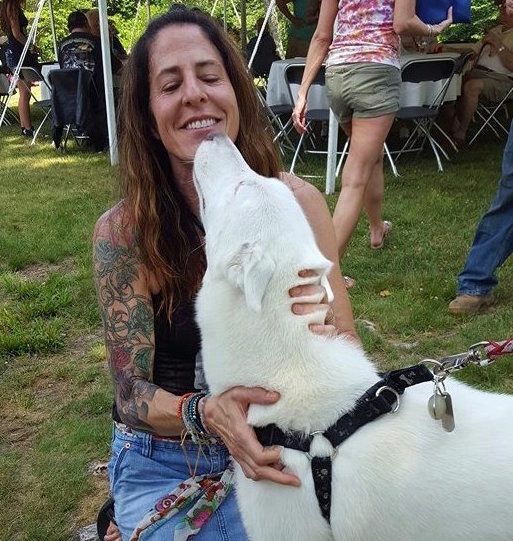 With nothing more than a dream and a passion for helping the helpless, she took a leap of faith, quit her teaching job and fully dedicated her life to rescuing and rehabilitating dogs in need. Over the years Melissa has boarded, worked with and rehabilitated dogs with everything from simple temperament issues all the way up to dogs more with far more complicated physical and emotional special needs. With the exception of her first three years in college when animals were not permitted in the dormitories Melissa has never been without an animal in her life. As soon as she had an apartment of her own for her senior year, she rescued 2 dogs and cat. After college she moved to Atlanta where she worked at an animal clinic as a veterinary technician. After many years as a vet tech in Atlanta she moved to Arizona where she studied equine and canine massage to extend her veterinary technician experience. Peace and Paws Dog Rescue launched after Melissa adopted a dog of her own from an Alabama shelter. Wanting to do more for the abandoned and unwanted southern dogs she saw during her own adoptions process, she founded Peace & Paws Dog Rescue. In addition to rescuing thousands of needy animals, Peace & Paws has built a rescue network that connects rescuers, dogs in need and adopters from Maine to Florida. As a pioneer in the online rescue world Melissa and PPDR have amassed more than a half million followers on FaceBook, where Melissa and her colleagues keep friends from all around the world updated and educated by highlighting the stories and journey's of her rescue dogs. Melissa currently resides in New Hampshire with her husband Bo, 5 dogs, 2 foster Chihuahuas, Kirtan the cat and a turtle named Courtney.